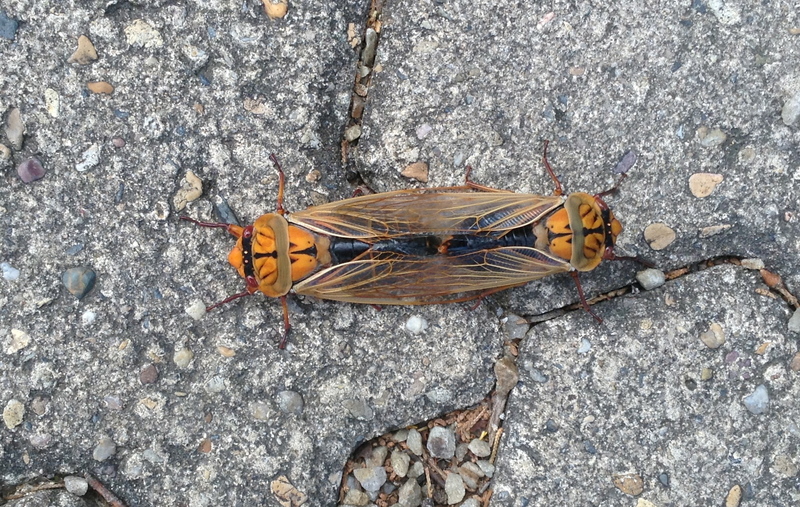 For the past month we have been subjected to an unbelievable assault by cicadas. At 154db – I measured it – the sound is deafening and make it impossible to write. It’s a surreal cacophony that starts at 0630 and continues until the darkness finally falls, which is now an hour later, thanks to the time change. Then while I was walking with Krystyna we discovered the reason for all this mayhem. I know that’s a little corny but really guys, keep it down wiil ya? 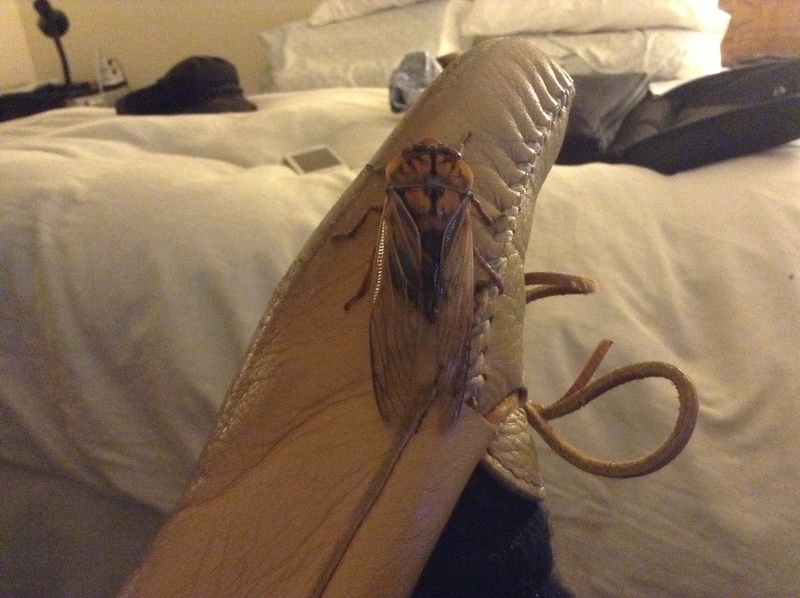 Now just to add injury to insult, one of the beasts decided to hitch a ride on my moccasin when I went out to drop the garbage in the bin. I mean, I know that doing IT is exhausting, but give me a break. Forty Shades of Whatever might get some people going but that Pales into insignificance when it comes to the mating habits of the cicada. Back to back in perfect symmetry. Who can beat that? Already I can hear dozens of my Airborne friends already thinking that over and trying to figure how they can keep abreast of the Masked Devil. Red Devils versus Masked Devils. The only problem is that there are millions of these buggers and only a few thousand of us. Right about now, if not sooner, there are a few followers who are saying, ‘I think AFN has finally lost it’. Well that’s probably true, but then you have to experience this insanity to even understand where the brain goes under this aural assault. Even one of my daughters’ said ‘can’t you turn that down?’ and my brother in NZ said, ‘I thought that was really loud phone static’. It may be phone static in NZ Bro, but here in the Blue Mountains it’s a full blown aerial attack. Now before someone says ‘put in ear plugs’ I have to ask if they have ever been in an aircraft with no escape at 35,000ft, and put in ear plugs to try and stop the noise of a baby screaming. Now I can’t promise this will be my last post on the subject, all I can hope for is that sometime, soon, this complete insanity will end, and hopefully not rear it’s ugly head for another seven years. By which time we might have found somewhere to ride out the storm in quiet solitude. Maybe on a catamaran in a solitary anchorage in Paradise.